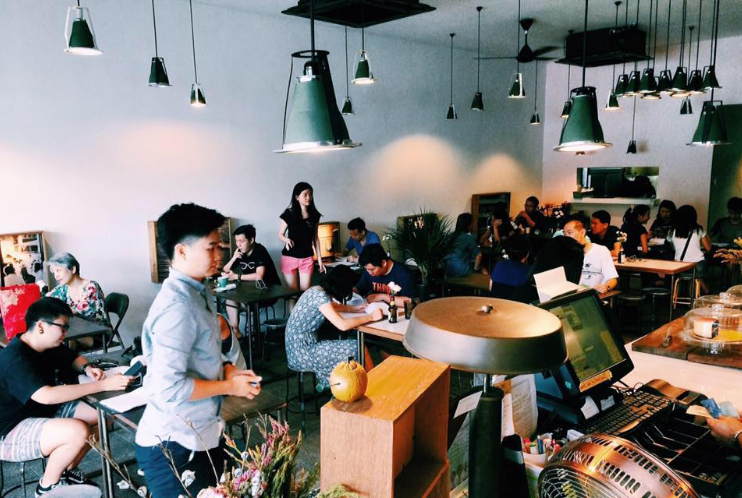 Bread & Wine Gallery is a social enterprise located in Taman Danau Desa, Kuala Lumpur. As its name implies, it showcases good food, excellent wines and art pieces. After deducting operating costs, monthly profits go to deserving causes determined by its philanthropic owner. 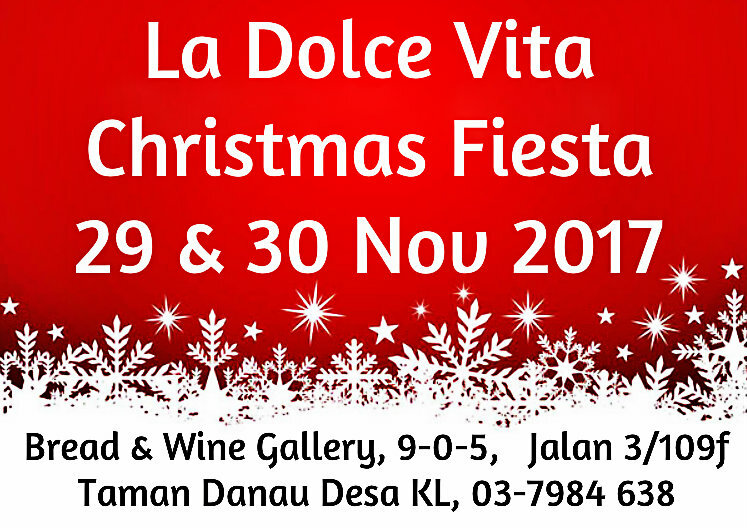 For Christmas this year, Bread & Wine Gallery will be having an event called “La Dolce Vita Christmas Fiesta” running for 2 days from 29th to 30th November 2017, from 6pm to 10om daily. Premium local products like fine chocolates, Malaysian made Sake,Soju, Durian liquor and hand-made leather goods will be on offer besides the world’s best oils, vinegars, spices, spirits, liquor, cigars, wines, wine education courses and value for money wine bottle packages. Shoppers can purchase these goods individually or have them packed into beautiful gift hampers. 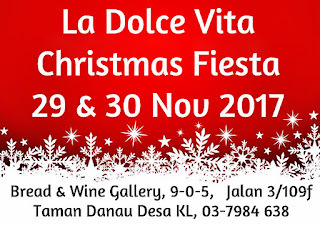 10% of all sales from the above goods during the La Dolce Vita Christmas Fiesta will be donated to The Lighthouse Orphanage. The premise is that you’re going to shop for Christmas gifts anyway, so why not shop at Bread & Wine Gallery, sip some wine, have dinner and do your bit for charity during the season of giving too? Valet parking is available and is complimentary for purchases above RM300. There will be attractive prizes for the best selfie every hour during the event, as well as a prize Christmas Eve Dinner for 2 worth RM300 complete with a bottle of premium wine and a grand prize of a New Year’s Eve Dinner for 2 worth RM500 complete with a bottle of premium wine all up for grab by lucky shoppers. Healthy? 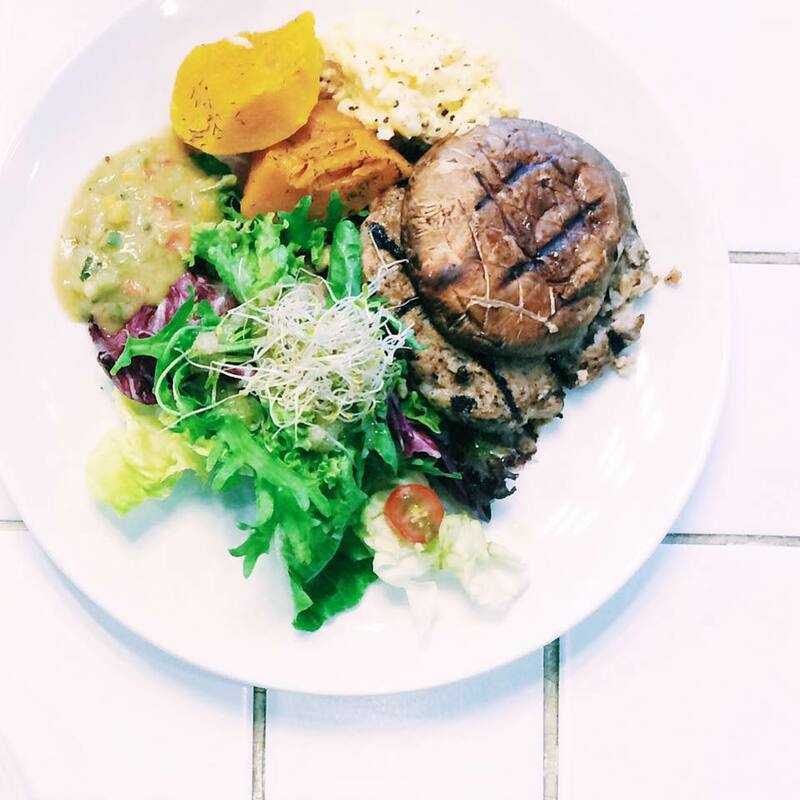 Heck yes, but not many places in the Klang Valley offer food designed to cater for Paleo diet devotees. Enter Awesome Canteen in Paramount Garden, Petaling Jaya to save the day. Step into the hipster cafe and you will be greeted by not one but two huge potted trees in the dining area flanked by smaller potted plants on every table, blending harmoniously with the contemporary design. 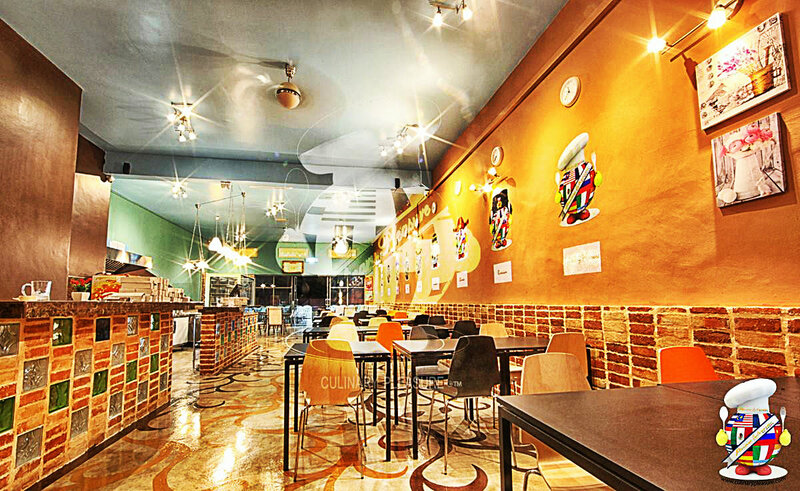 Awesome Canteen is fitted out with recycled furniture and fittings, with hanging lamps that give it a warm ambiance. Yes, there’s the ubiquitous glass cabinet filled with old-skool stationery, board games, and an eclectic mix of retro items like an old TV, lampshades and an old rusty typewriter. 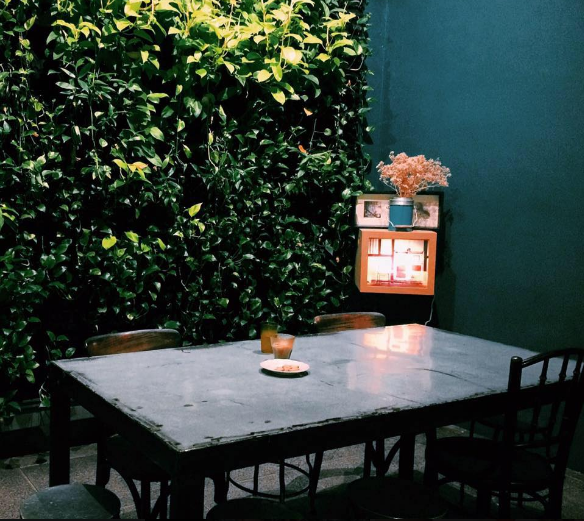 There’s a semi-private table at the end of the restaurant which feels like you’re dining in a garden with a wall lush with vertical greenery. This area does provide some privacy away from the normal crowd. 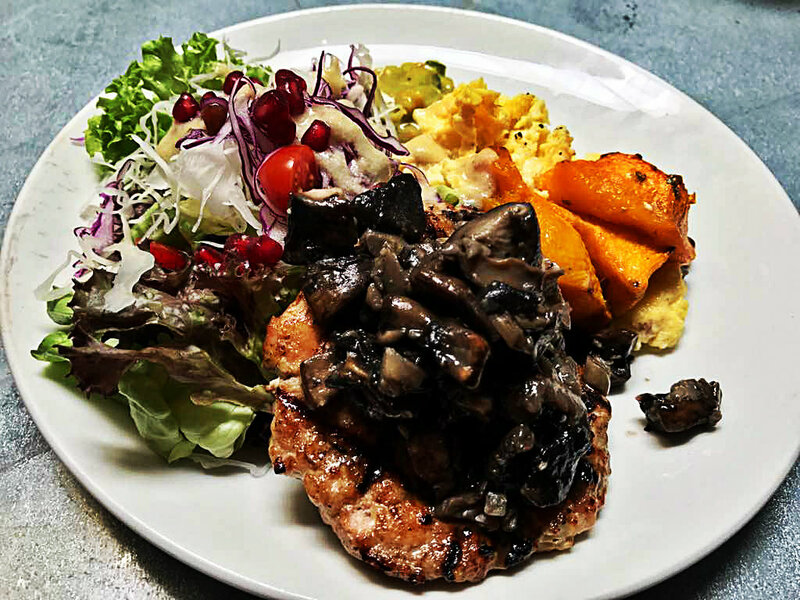 The choice of huge chicken or beef patty is accompanied by a side of salad, sweet potatoes and scrambled egg. 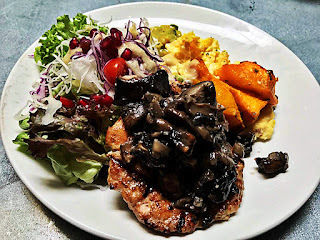 Sauteed portobello mushroom, grilled pumpkin, mesclun salad, and house made guacamole complete your meal. The sprinkling of pomegranate seeds on the salad not only added an exotic feel but added a welcome visual splash of ruby red color. The Swiss cheese melt provides a luscious and moist bite to the minced chicken patty. The side of sweet caramelised onion went really well with the Swiss cheese. Tabasco grilled beef patty, melted pepper jack cheese, tomato and guacamole salsa, grilled chilli, cheddar cheese with poppy seed bun. Definitely on our list of favorites to visit again and again. “As a result of today’s “culinary revolution” food is often the center-piece of an event. 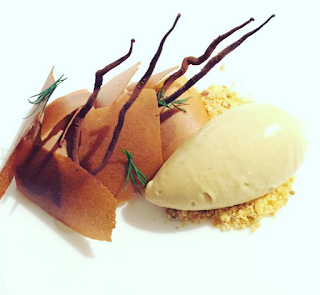 Creating a memorable culinary experience now has to go beyond just tastes and flavors; it has to provide a sensory experience that satisfies all 5 senses to make an impactful impression. 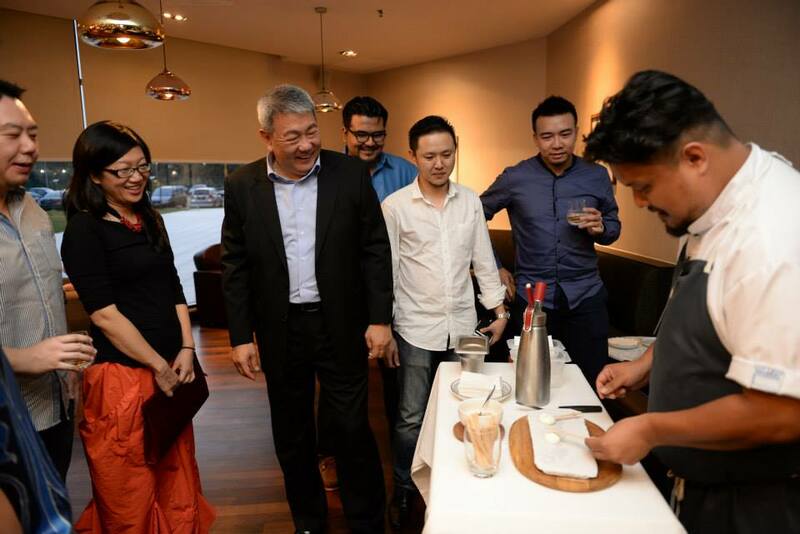 As such, chefs must place greater emphasis on finding innovative ways, through flexible set-ups and unique crockery, to develop eye catching creations to link the decor, ambiance and deliciousness of the food being served” - Chef Richmond Lim, Unilever Food Solutions’ Ambassador. “Today’s trends are important for hoteliers to be on the cutting edge of providing the perfect services, especially in creating food menus that please the palates of travelers regionally, from local to international visitors alike” - Nusrat Parveen, Managing Director of Unilever Food Solutions Malaysia. 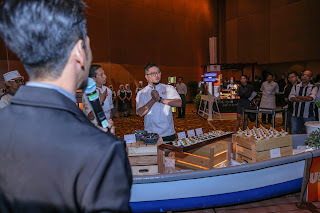 The above two quotes perfectly sum up Unilever Food Solutions Malaysia’s event recently at the Kuala Lumpur Convention Center where they, together with hotel professionals and executive chefs, presented the exciting Trendwatch Hotel 2016, unveiling exciting food and travel industry trends and insights. Malaysia is famous as a melting pot of many cultures reflecting a vast variety of food showcased throughout the different states in the country. Malaysians are constantly celebrating with food in terms of everyday meals and special occasions with office workers, families and loved ones, often uploading photos on facebook, twitter and Instagram. Knowing our national obsession with all things food, Unilever extensively researched and highlighted the top current food and travel trends with its hotel partners and consumers. 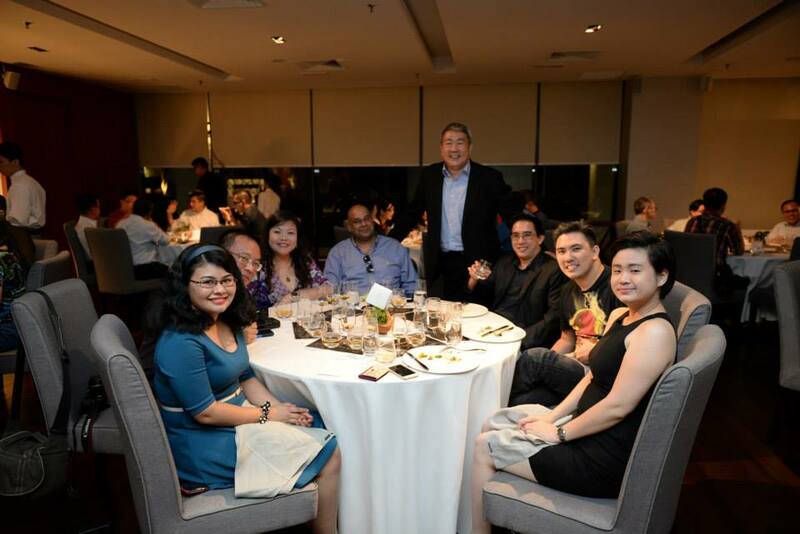 The exclusive event’s theme was based the book “Buffets Around The World: Trendwatch Hotel 2016” published by Unilever Food Solutions with information from diners and food experts alike. 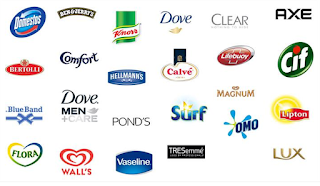 Unilever Food Solutions combined their industry experience with reports by professional market researchers such as Mintel and Nielsen, interviewing tens of thousands of people to gather data. Unilever Ambassador Chef Richmond Lim and its South East Asia's Regional Executive Chef Dhillon Ng presented insights on the Meetings Incentive Convention & Exhibitions trends and updates, five upcoming food trends with a delicious showcase of food stations based on these trends in a memorable food tasting experience. 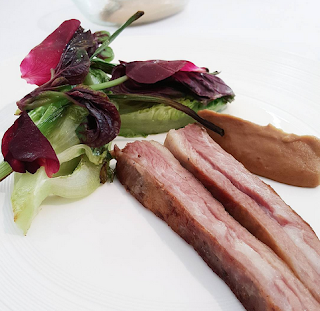 Chef Richmond Lim, who is also an award-winning author, brings over 32 years of banqueting experience in 5-star hotels and convention centers, specializing in today’s modern cuisine. 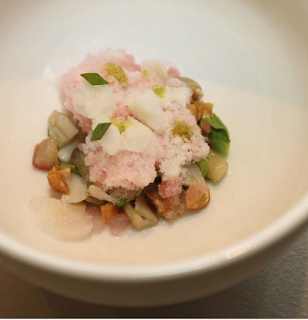 As the Executive Chef of the Kuala Lumpur Convention Centre, he is responsible for overseeing a culinary brigade of 51 chefs, setting new standards to the Center's dining experience to new levels. Chef Dhillon Ng has diverse experience from across the region, bringing a track record of years of expertise, having worked with some of the best chefs in the region: Jeremy Hollingsworth, the former Head Chef of Quo Vadis, a one Michelin star restaurant in London; Jimmy Chok, Singapore’s master of Fusion Cuisine; and award-winning Robin Ho, Executive Chef of Marmalade Group. 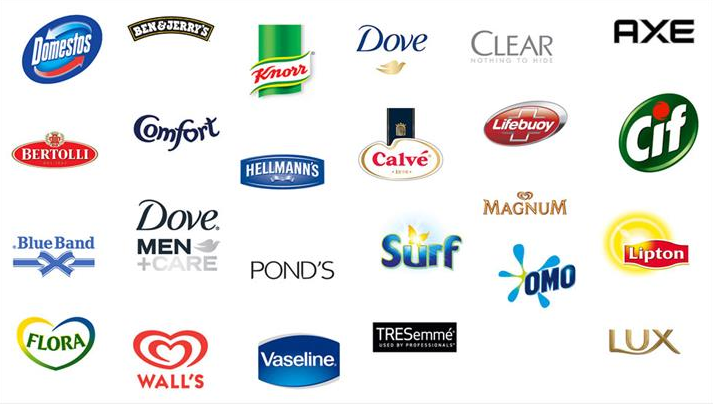 Unilever Food Solutions (UFS) is the food service division of Unilever Global. Their ingredients are staples in professional kitchens in 74 countries around the world - Knorr, Lady’s Choice, Lipton, Planta and many more. They’ve been in food since the 1880’s, and not surprisingly, they’re chefs themselves. UFS is the only food manufacturing company to employ over 500 chefs globally, including Malaysia, playing critical roles across different functions. 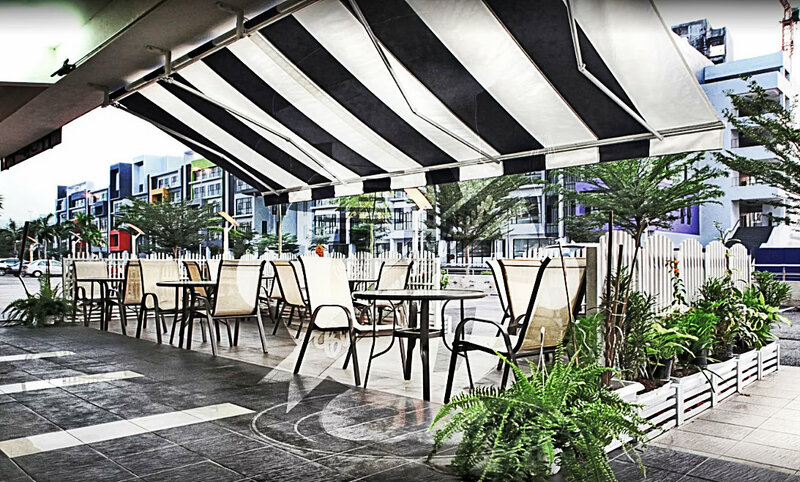 As one of the world’s top food service companies, UFS provides professional ingredients and services to meet the many different needs – from hawker centers to 5-star hotels; and from school canteens to large food chains. They help chefs all over the world to serve tasty, wholesome meals that keep guests coming back for more. UFS creates ingredients that save precious prep time in the kitchen, without compromising on flavor or flair. They are constantly providing ideas and inspiration, not just to keep menus fresh and exciting but to help customers get that critical balance right between impressing guests and making a profit. UFS is committed to sustainable growth whilst making a positive impact on the food service industry. That means creating healthy, nutritious ingredients using sustainably-sourced packaging that generates less waste. It also means providing services that help chefs and operators run a more sustainable kitchen with healthier menu options for diners. It’s a socially and environmentally friendly way of doing business which keeps operators relevant in current times. 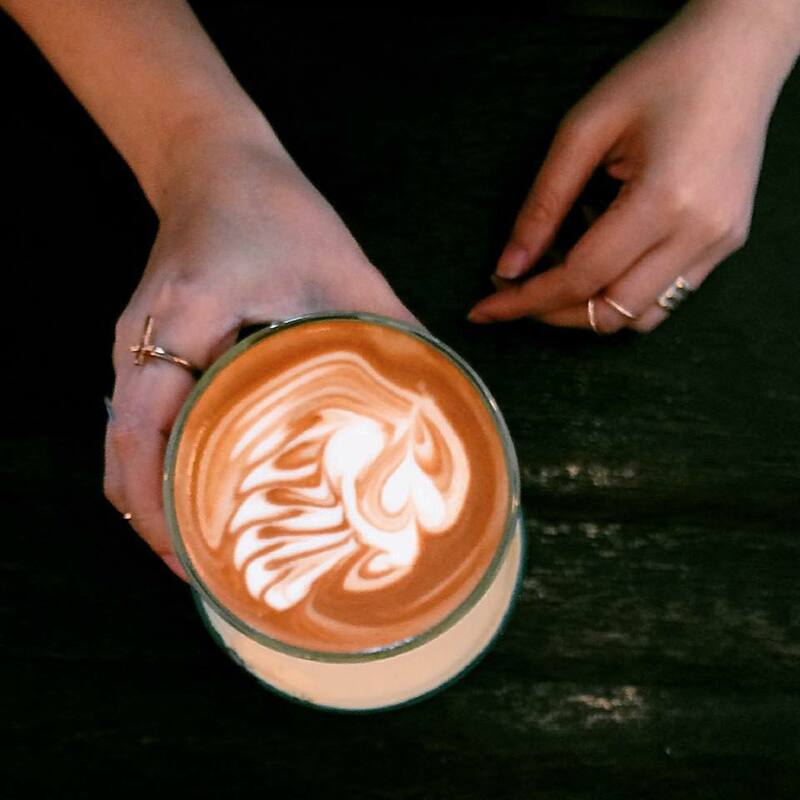 Many of you familiar with Culinary Pleasures in Cyberjaya know that they have been making waves with their gourmet food, artfully infusing the best flavors from around the world. Completely organic & natural, their cuisine does not use MSG, additives, preservatives, artificial coloring, chemicals, or any other harmful substances. Mohd Ali is justifiably proud to manufacture, in his own factory right here in Malaysia, his own brand of handmade, European gourmet quality organic ice creams, sweets and confectioneries of the highest quality and awesomely amazing flavors to complement his line of gourmet coffee & tea. 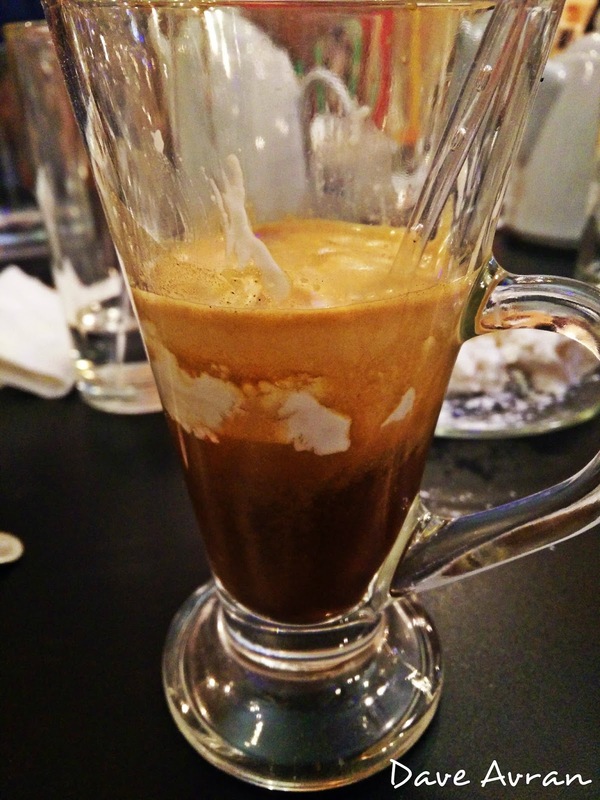 He uses real cream as opposed to the generic milk or water and emulsifiers normally found in commercial ice creams. Hint - the Musang King Durian and Dark Chocolate are to die for! Insisting on cleanliness in every step of his operation, Mohd Ali has earned his restaurant the coveted A rating from Kementerian Kesihatan Malaysia, ensuring that your dining experience is a truly enjoyable one. 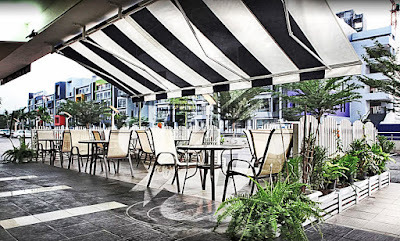 Note that there is a breezy and beautiful Al Fresco area for smokers and outdoor junkies. Indeed Mohd Ali is the relentless driving force and visionary behind this unique restaurant, drawing from his personal foodie experience gained from travelling every country on the globe twice (Well maybe not North Korea ;-) Hahahaha) to infuse the most delicious flavors into every single meal he serves. It’s not unusual for him to fuse the unique flavors of up to seven different countries in a single dish. 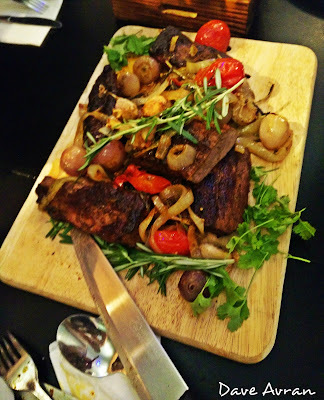 However what blows me away every time I visit to indulge my family and friends is that despite the amazing quality and generous portions he offers, his menu is incredible value at unbelievably affordable prices. 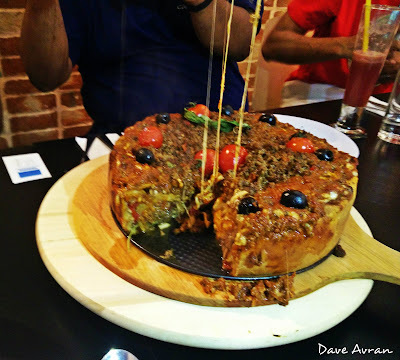 Along with a boisterous bunch of Ali’s friends, frigglive was invited to sample Culinary Pleasures’ brand new menu, the offerings personally, painstakingly and meticulously concocted by Ali - some of them a “world’s first”. 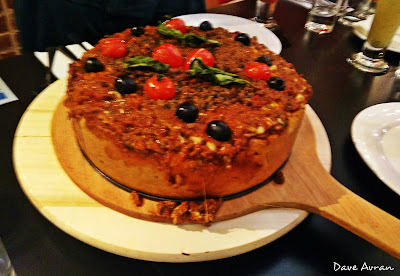 We started with his unique 9” X 3” deep dish "pizza cake" – which was as lip smackingly delish as it looked, chock full of minced beef, fresh spinach, basil, Kalamata black olives, 2 types of mushrooms, 3 types of tomatoes and 3 types of caramelized onions, all held together with melted cheese. A portion of this pizza is a meal by itself. *Note that this dish requires a 1 and a half hour notice to prepare so please do call ahead if you want to try it. 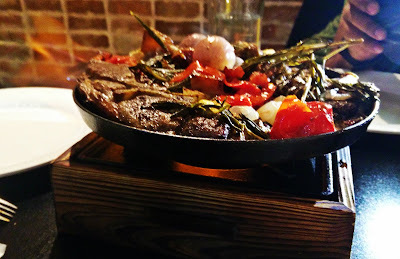 The 2nd course was tender juicy lamb fillets with fresh Rosemary, garlic bulbs and baby onions, flame grilled live on a hot pan right in front of us. 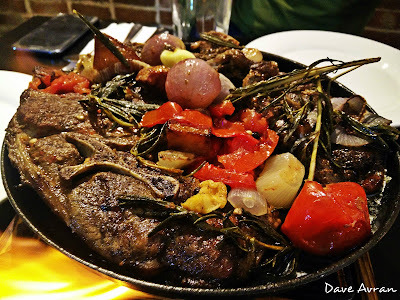 If you love lamb, you will be in heaven here as the meat is without much of the usual fat yet very juicy, tender and falls off the bone. Not quite done with us yet, Ali flourishes his 3rd course – premium beef fillet mignon gently grilled with fresh herbs, potato wedges, tomatoes, garlic bulbs and baby onions. We thoroughly enjoyed succulent and very flavorful meat, complemented perfectly by the accompanying condiments. While I realize that the pictures above depict what looks like a very heavy meat based meal, I can assure you that the top quality meats and fresh ingredients used resulted in more culinary pleasure (Hey!) than the heaviness normally associated with over-eating. 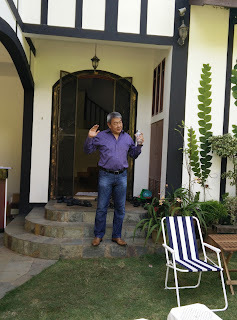 Also, Ali had very thoughtfully plied us with copious amounts of his own blend of Cinnamon Tea which aids digestion, and a healthy lifestyle drink made up of lemongrass, lime, lemon, honey and mint leaves. 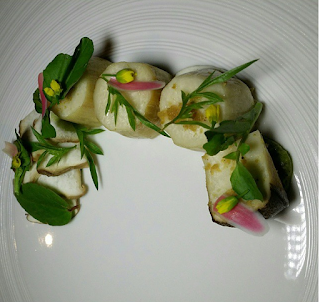 We also sampled another of Ali’s world firsts – His very own Durian Turkish Delight. For dessert, we were served a scoop of the world famous Durian ice cream, soft Durian Nougat and Durian Glace (a combination of ice cream and nougat). 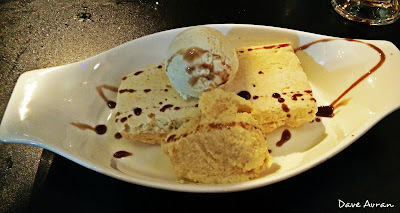 For dessert, we were served a bar of hard Durian nougat, a scoop of Chocolate ice cream and a scoop of Pina Colada (Pineapple) ice cream. No your eyes are not playing tricks and you read that right. We had TWO desserts. Talk about decadence. Heh. While chit chatting with Ali over dessert #2, one thing led to another and before we knew it, there in a puff of smoke was an Affogato in front of us – Ali’s own signature coffee brewed triple strength with Durian ice cream dunked in it. This drink should come with a mandatory warning - it is very addictive stuff. For those lost souls who have yet to sample what Culinary Pleasures has to offer - tarry no more. There is no need to eat mediocre food. Not when awesomeness is yours for a very reasonable price, service is great and parking is easy and ample. Landmarks - Bank Islam, D'pulze Shopping Centre, Tune Hotel. The 1ASEAN Entrepreneurship Summit (1AES) turned out to be a weeklong celebration of entrepreneurship, packed with inspiring speakers, skill-building programmes and a plethora of exciting opportunities for young ASEAN entrepreneurs. Held on the 18th - 19th November 2015, the young food entrepreneurs conference this year focused on food trucks allowing eager entrepreneurs-to-be an opportunity to learn from successful operators like La Famiglia, Little Fat Duck, Thyme Out and Cowboys Truck. Organised by popular food site FriedChillies, the two-day conference was held alongside the 1AES 2015 and in conjunction with the ongoing 27th ASEAN Summit. Also featured was a great ASEAN speaker lineup consisting of Baba Rafi, the largest kebab franchise in the world and reps from Food Truck Associations in ASEAN. 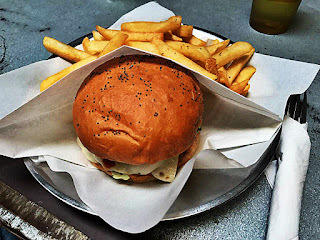 Homegrown labels myBurgerlab and Kaw Kaw Burger shared on how they expanded into Cambodia and Singapore from their humble beginnings in KL. One of the issues highlighted during the event by ASEAN food truck business operators was that they are calling for their industry to be regulated with the issuance of proper documentation like permits for entrepreneurs to operate smoothly. Founder and Chief Executive Officer of FriedChillies Media Sdn Bhd Mohd Adly Rizal said food truck entrepreneurs across the region were faced with similar permit problems. "It's not that they don't want to apply for permits. But, there is no permit specifically for food truck operators. He expressed hope that local government agencies would give serious attention to this industry which he felt had great potential. 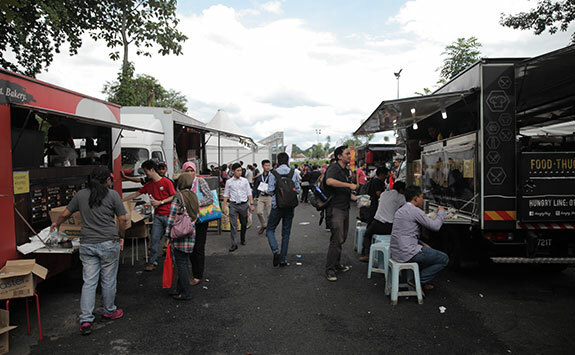 Mohd Adly said a roundtable meeting, involving ASEAN food truck business operators, would be held to iron out the issue of proper permits for their trade. He is hoping for further collaboration between ASEAN food entrepreneurs after this conference, in terms of expanding the food truck business in the region, as the food truck business is a growing industry. Their objective is to build a platform for young entrepreneurs to enter the industry. From January this year to date, Mohd Adly said the food truck industry had grown tremendously, rising to over 70 trucks compared with only 35 last year and the number was expected to grow further. 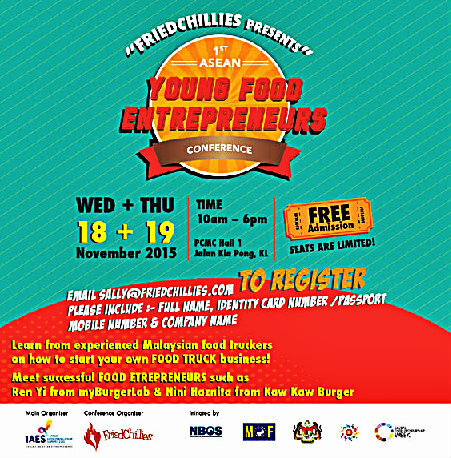 From 18th to 19th November, FriedChillies will be organizing the inaugural Asean Young Food Entrepreneur (AYFE) Conference. This conference will be in conjunction with 1 Asean Entrepreneurship Summit 2015 (1AES). During this two day conference participants will be able to network, attend talks and discussions; and take part in food entrepreneurship workshops. The conference is FREE but seats are limited and upon registration only. 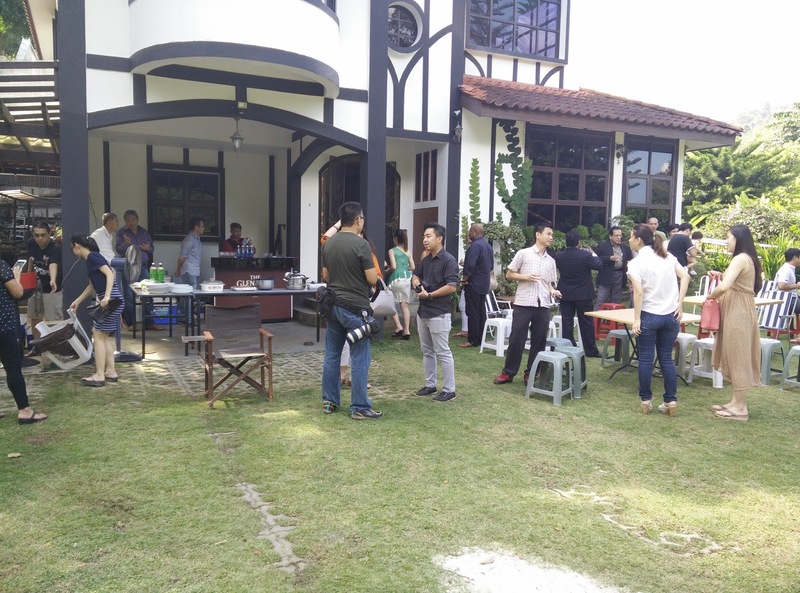 “FriedChillies runs Malaysia’s first local Food Network and in this capacity we created AYFE 2015 to connect young food entrepreneurs across the ASEAN region. This is to promote business, friendship, across border trade and innovation,” says Mohd Adly Rizal, CEO of FriedChillies. “This region is a hotbed of food entrepreneurship. As more and more young people are embarking into running a food business, we think it’s high time there’s a conference to bring them together to share stories and who knows, be the catalyst for future regional expansion,” he adds. challenges of opening franchises in the region. point for a lot of youths getting into the food business. Hence, the conference also has talks from some of the best Malaysian Food Truckers who will share their experiences on how to survive the tough first years and tackle issues like branding, staffing, food truck design and marketing. Truck Roundtable” session moderated by FriedChillies. Here we will expect industry players in the food truck ecosystem (including over 50 food truck owners from Malaysia and the region) to take part in charting the way forward for this promising new industry. “The AYFE Conference, promises to be an exciting two days where those who want to take a plunge into the food business will find fantastic insights and helpful tips into navigating their own fledging businesses. We have curated the conference carefully to answer a lot of questions that young food entrepreneurs have when starting up,” says Honey Ahmad, Head of Content for FriedChillies. 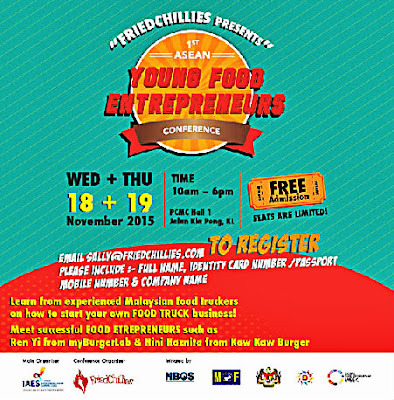 As a spin-off of AYFE, FriedChillies will also be conducting a 2 day Food Truck Workshop in partnership with CEDAR, the center of entrepreneur development and research of SME Bank, Malaysia. This workshop that is scheduled to begin Saturday, the 28th will be packed full of detailed talks like fabricating tips, branding, menu planning, ingredient sourcing and of course funding and licensing for serious professionals thinking of embarking in the food truck business within the next 6 months. industry. Anyone who has a desire to start a food business should not miss it!” Enthused Adly. Email sally@friedchillies.com to register for the conference. Please include full name, IC number/passport, mobile number and company name to secure seats. You can also register at 1aes.my with the conference code PR03C. For more information please go to friedchillies.com or FB/friedchillies. 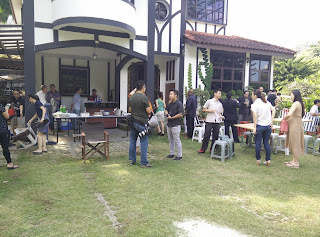 HyppTV, produce original food content for a global audience via FriedChillies.com and organize engaging food events for our fans in Klang Valley such as the wildly successful I Eat Nasi Lemak and I Eat Burgers food events. Our buddy Lance Cheang is a successful IT entrepreneur, but this mild mannered bespectacled fella has many other awesome hidden talents. Besides being a connoisseur and walking resource on single malt whiskey he is also passionate about cooking. 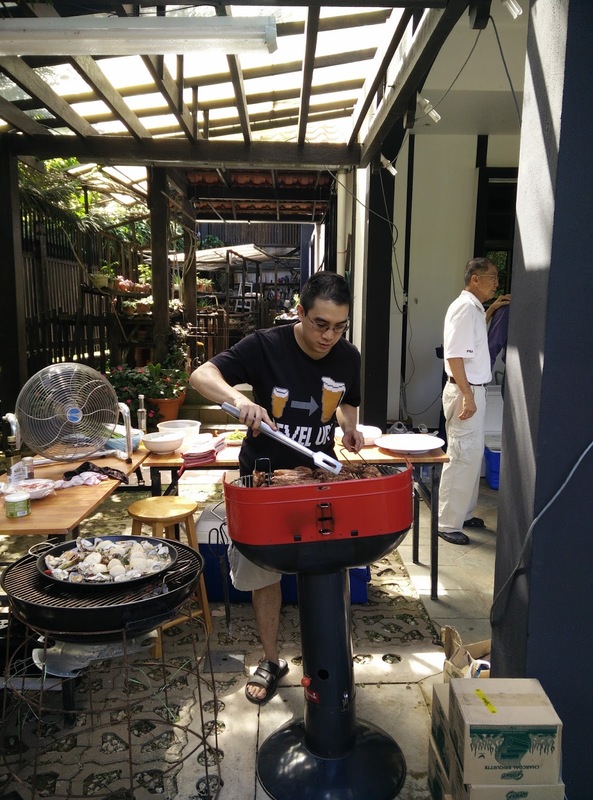 He particularly loves the manly art of barbecuing, and has a knack for whipping up his own delicious sauces to go with the grilled meat. Having done a gazillion BBQ’s under his belt, Lance has perfected the art of grilling. Give him rib-eye steaks and they’ll be lovingly seasoned with salt and pepper before being grilled right away. After searing both sides for a few minutes to lock in all the delicious juices, he flames it with Cognac and delivers a perfectly made melt-in-the-mouth steak exploding with natural flavor. Interestingly enough, Lance cooks the old school way by shunning electric grills; preferring charcoal which he says permeates the meat with a gorgeous smoky aroma. At home, if he’s not enjoying a dram after a long day at the office, he will be scanning his numerous recipe books and dreaming up his own interesting tweaks on them. 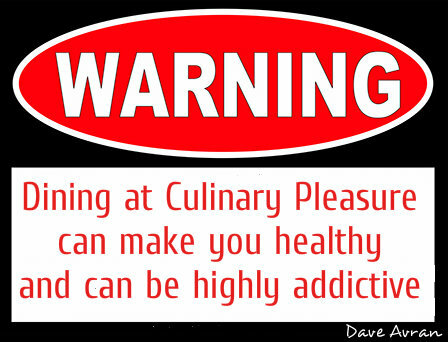 Lance loves to spend time in his kitchen as he finds cooking cathartic and a great way to relieve the day’s pressures. Recently, in collaboration with The Glenlivet, Lance invited his friends to a private whiskey tasting and barbecue at his Dad’s lovely Tudor house in Genting Highlands. As usual, he could be found behind the barbecue but his friends were certainly not complaining as he diligently churned out a smorgasbord of delectable grilled treats to complement the free flow of 12, 15 and 18 year old Glenlivets. We had an awesome time as the cool crisp highland afternoon stretched into late night while we swapped stories and enjoyed the generously laid out food and drinks. Made some new friends too. Our thanks to BBQ Sifu Lance Cheang, the always dashing Lionel Lau, Rachael Van Buerle and Nicole Chai of Millennium Associates and Pernod Ricard Malaysia for pulling off yet another unique and entertaining event. The Glenlivet is the No. 1 single malt Scotch whisky in the world. Crafted in the remote Livet Valley since 1824, it is the only whisky with the unchallenged right to be called The Glenlivet. 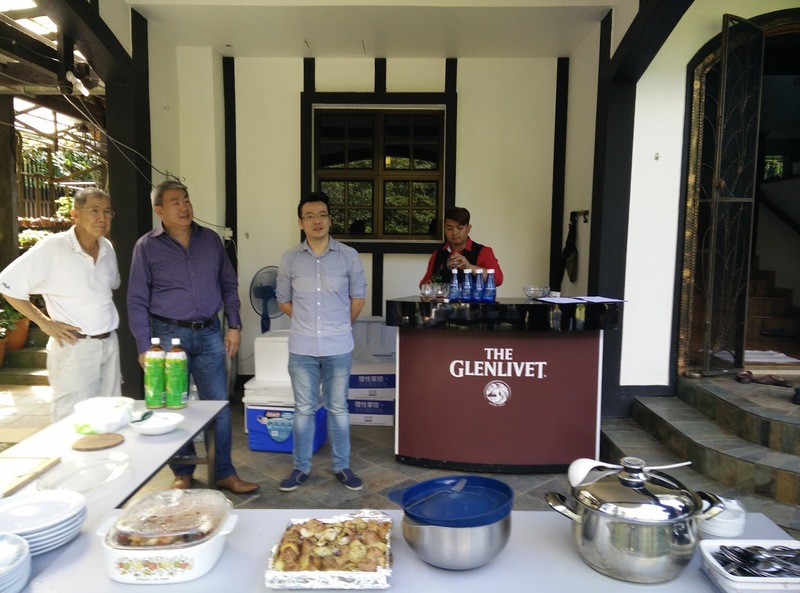 In keeping with The Glenlivet Guardians tradition of holding their events in intriguing and enchanting venues, we found ourselves at Dewakan, a hidden gem deep in the bowels of KDU University College in Glenmarie. 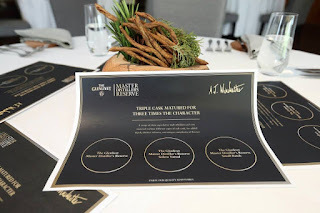 Our dinner was to be accompanied by the exclusive Glenlivet Master Distillers Reserve plus, a range only available to international travellers via Duty Free Shops. 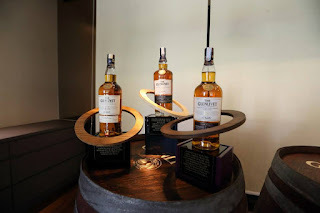 Glenlivet have extend the range to include another two varieties, namely the New Master Distiller’s Reserve Solera Vatted and the New Master Distiller’s Reserve Small Batch. 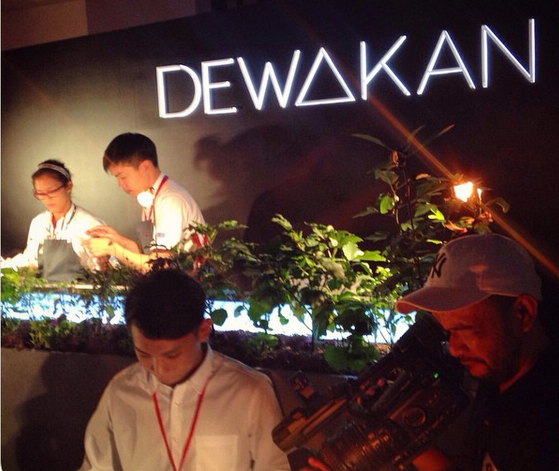 Dewakan's Executive Chef, Darren Teoh, personally prepared the menu for our dining pleasure. As we were seated, Darren was making his rounds with a push-cart, chatting animatedly as he effortlessly prepared fresh yoghurt popsicles laced with cumin pearls. I have to give it to him – he certainly knows how to "break the ice” with style. As the Master Distiller's Range was served, finger food of what appeared to be twigs with Budu Mayonnaise were placed on our table. (For the benefit of our western readers, Budu is a fish sauce and one of the best known fermented seafood products in Kelantan, Terengganu and Southern Thailand). 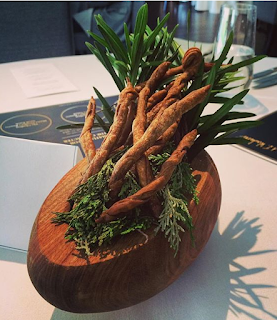 The twig shaped bread sticks were delicious with their hint of keropok flavor (deep fried fish crackers). The first course which looked rather like ice kacang, (popular local thirst quencher of shaved ice, red beans, creamed corn, palm seeds topped with evaporated milk and rose syrup) turned out to be Razor Clams from Pulau Ketam, Rose Apples, Cashew Nuts and Tenggek Burung (local herb) served together with shaved ice made from the razor clams stock. Eating this led to a kaleidoscope of flavors and textures in the mouth, well enhanced by sips of the Master Distiller's Reserve. Next up, King Oyster Mushrooms, green curry paste and yoghurt topped with dried mackerel flakes paired with the Master Distiller’s Reserve Solera Vatted. Again biting into this released a medley of flavors and textures well complemented by the accompanying whisky. The main course consisted of Confit of Lamb breast, spring onions and marsala onion puree paired with the Master Distiller's Reserve Small Batch. 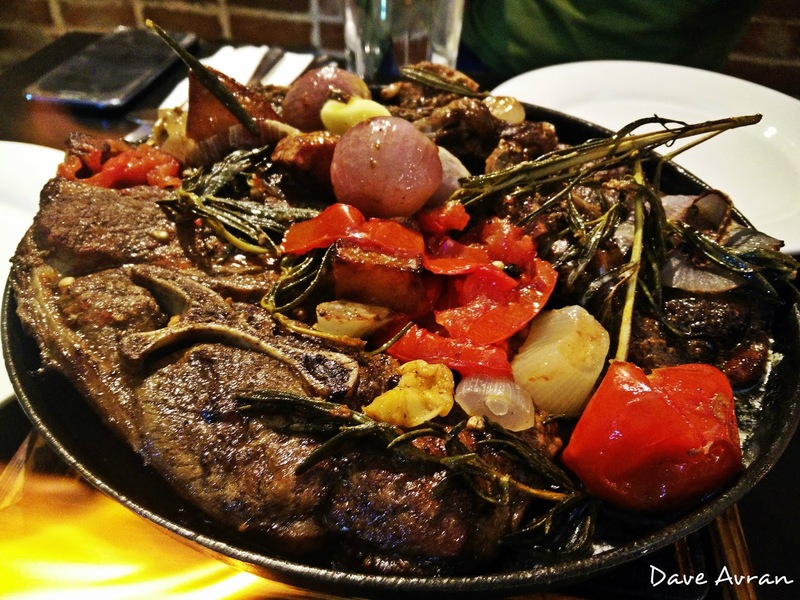 The lamb was marinated for 24 hours before being cooked in a wood-fired oven. 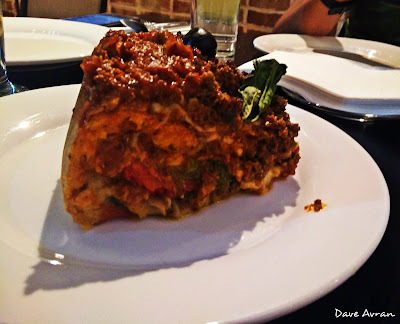 Again the food proved to be fabulous, our only complaint being the portion could have been a tad bigger. 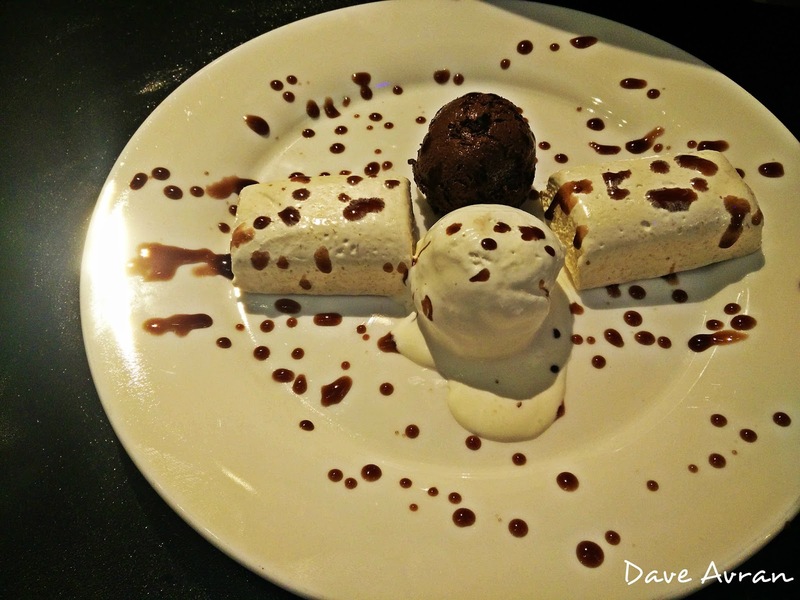 For dessert, a Malaysian favorite with a twist - pisang goreng (fried banana fritters) ice cream, nutmeg syrup, smoked chocolate chantilly. An amazing combination where the bitterness of the chocolate balanced the sweetness of the ice-cream. Traditional oak casks deliver the classic style of The Glenlivet - ripe fruit pear and gentle summer floral notes – while first fill American Oak provides depth, with creamy notes of coconut and soft fudge. Ex-Sherry oak is used to impart dried fruit flavors and spice aromas offering a deeper complexity and richness. To craft this exceptional liquid, the casks – Ex-Sherry, American Oak and Traditional Oak – are brought together in a Solera Vat. The Vat is never emptied, a process which creates a rich and intense whisky, developing greater complexity year on year. A high concentration of first fill American oak casks bring a creaminess and honeyed sweetness to this expression, which has a unique velvety character. Each unique batch of this exclusive expression, is created with individually selected casks, chosen from the collection of whiskies maturing in The Glenlivet warehouses. 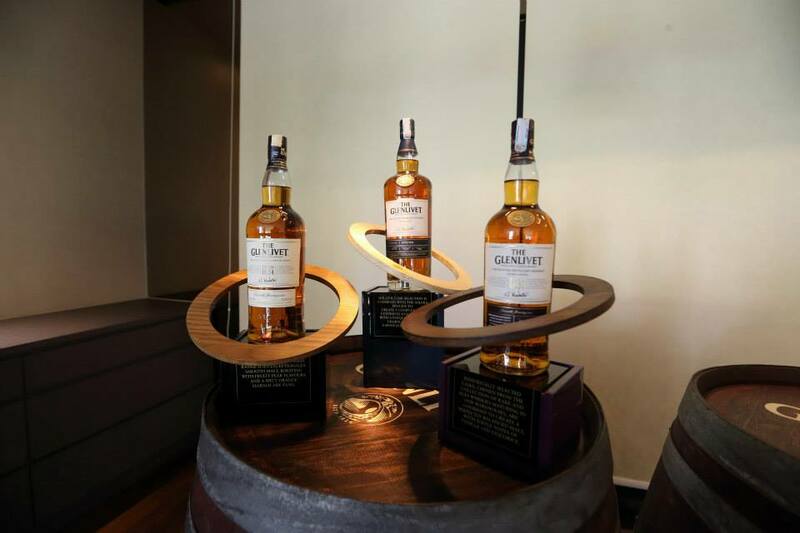 Every single cask is nosed prior to the final selection and the finest first fill ex-Sherry and American Oak casks are combined with Traditional Oak casks to create exceptional malt, with subtle notes of fruit and delicate spiciness. It is then bottled and released in Small Batches, each with a unique batch number. Click on the new sections below to see more listed current events in other categories.